is honored on Panel 57W, Line 11 of the Vietnam Veterans Memorial. Thank you Captain Michles for your leadership and courage under fire. If I should die...remembrances for CAPT. Earl R. MICHLES, USA...who made the ultimate sacrifice!!!!! If I should die, and leave you here awhile, be not like others, sore undone, who keep long vigils by the silent dust, and weep...for MY sake, turn again to life, and smile...Nerving thy heart, and trembling hand to do somkething to comfort other hearts than thine...Complete these dear, unfinished tasks of mine...and I, perchnace, may therein comfort you. Earl Ray is buried at Randolph Memorial Cemetery in Pocahontas, AR. 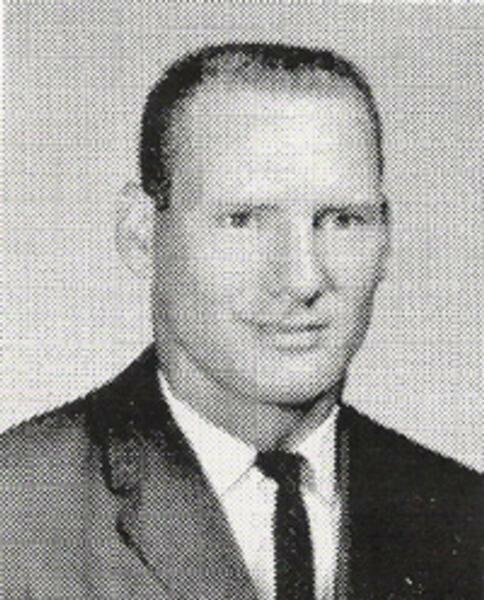 He was buried in July of 1968, after his death in a mid-air aircraft collision in Vietnam a few weeks earlier. In 1993, a farmer found bone and teeth fragments as he plowed a field. The farmer notified the authorities and in turn they came and excavated the area locating additional human remains. These human remains turned out to be from the June 13,1968, air crash site that took the lives of Captain Michles, LTC Barker, 1LT Phillips and the helicopter crew 25 years earlier. The 1993 recovered remains of the seven men killed in that 68' crash are buried in a mass grave in Arlington National Cemetery. A very nice up-right headstone marks the mass grave site, with all seven names engraved, showing where these warriors and heroes are resting together in final peace.